UNLOCK THE SECRETS OF THE LOST CITY! While the people of Chult suffer under the dreaded death curse, a force of darkness and corruption seeps into the jungle, defiling the once eternal spirits that gave life to the land. Left unchecked, this vile power will eventually extend beyond these lands to pervade the entirety of the Realms. Hope lies with the return of Mezro, a holy bastion city long thought lost. Those seeking to return the lost city to its former self are bound by destiny to either restore the balance or be consumed by their own dark fates. Which path will you walk? Lost City of Mezro is a D&D Adventurers League adventure series for characters of levels 1–16. It's available as both a PDF and a full-color 144 page hardbound. In addition to the adventures, all of the character options, new monsters, and magic items from the previous products have been included, as well as a conversion guide for Season 8 AL treasure awards. This product is a DMs Guild Adepts adventure! 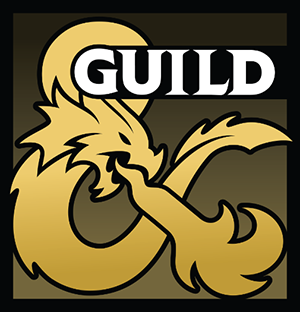 The Dungeon Masters Guild Adept program brings highly talented individuals together for creative development. Guild Adept products are identified with the golden ampersand and logo. Under "Dramatis Personae", Adrinyth has been given Artus Cimber's description. Are copies of the maps available in a hi-res format? I've been printing out the Mike Schley maps in a large format and used them as battlemaps. I'd love to do the same here! Does this play well with the main storyline of Tomb of Annihilation or does it muddle the primary focus? Does it enhance or should they be played separately. I am aware it says it can be used alongside but I am hoping for a clarification to that. The adventures change nothing regarding the main ToA storyline. They simply expand on plot threads introduced in ToA and introduce them as an additional adventure path that concludes after the ToA hardcover adventure is already completed. Would like to buy this, but am hoping there are digital maps available so I can run it online. Is that something that is available before I make this purchase? Could we get Heart of the Wild Fantasy Grounds .mod file on this too? Just bought this and started reading through it. Loving it so far guys, can't wait to run it!. I don't suppose there are any digital map packs available for this? I'm looking for player versions that I can put into roll20. Is there any content above and beyond the 4 included adventures? In other words, if you already own the 4 individually, is there anything additional (beyond the formatting into a single book)? Hi, Chad. The compilation is just that. We haven't added anything that isn't already available in the four products individually other than providing an introductory overview and guidelines for how they all connect. The major difference in this case is the newer layout and reformatting to make it available as a hardcover POD, which some of the older adventures weren't suited for at the time. Got it - thanks very much. What about the S8 treasure conversions? Is there anything beyond what’s in the content catalog? The PDF of the compilation also comes with a S8 treasure conversion guide that covers each adventure.